Wash the Wall, not the floor, with light. Recessed lighting comes in many configurations. A wall washer is a fixture that is usually placed 18 to 24 inches from a wall (depending on your ceiling height) and used in a series to spread light on large surfaces. When light is bounced off of a vertical surface into a room, it creates a great sense of illumination: You notice the wall rather than the fixture. Instead of blanketing a space with an even grid of light, introduce a spotlight or two to direct the eye. 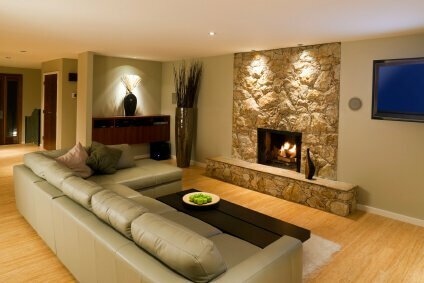 Unlike wall washers, spotlights, with their narrower beams, draw your gaze to a specific space within a room. For instance, using spotlights in a bathroom over a porcelain sink and bathtub makes the fixtures sparkle and pop. We all know that beauty is in the details. 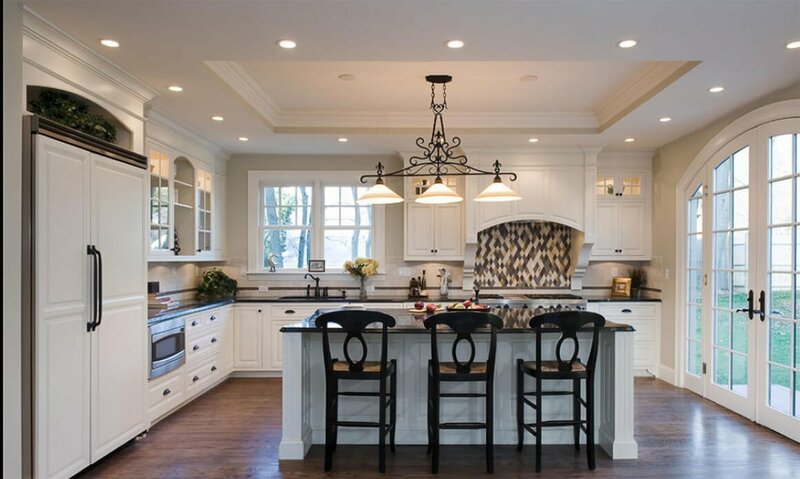 Recessed lighting comes with a wide variety of different trim options and apertures, and choosing the right ones can make even the most unobtrusive ceiling lights feel more considered and refined. High-end fixtures come in metal finishes that look fantastic in wood ceilings. For minimal applications, you can install flangeless fixtures that are plastered into the ceiling to look seamless: All you will see is an origami-like cut out in your ceiling plane. Not all lightbulbs are created equal. I prefer the warm glow of incandescent and halogen lighting. There are now plenty of excellent recessed LED manufacturers, but it’s still very important to test the color quality of LEDs before committing. For residential applications, I recommend using the warmest LED available (typically +/- 2700k). This gets very close to the quality of halogen lighting, though it’s not quite the same. 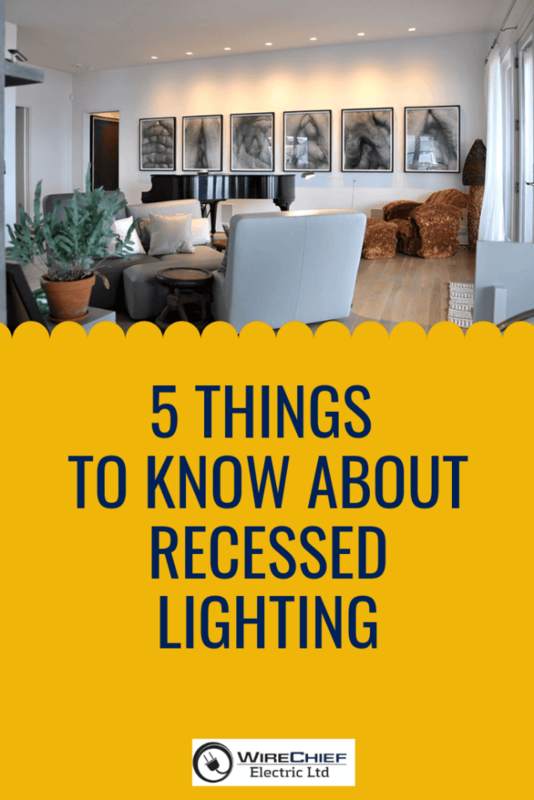 Be warned that some of the more affordable LED lighting options have very little consistency in color quality, and you can actually see different shades of light from one light to the next. If you take no other piece of advice from this, you should install a dimmer on (nearly) every fixture in your house. Being able to adjust the intensity of lights (especially overhead) based on the mood you want to set is paramount. This is not only useful for your entertaining areas. I recommend using dimmers for all your bathroom fixtures (think of relaxing in the tub), under-cabinet lighting, and even in your walk-in closets. An added benefit of using dimmers is that when just dimming a bulb by 10 percent, you extend the life of the bulb. Note: LED lights typically require special electronic low-voltage (ELV) dimmers rather than usual magnetic low-voltage. Check to see what type of transformer is inside your recessed fixture before selecting for dimmer control.